Home » Uncategorized » Why Are You Doing Agility? At a recent trial, I saw many people I hadn’t seen in awhile. Bully has had some shoulder issues and between that and me starting a business, we haven’t been trialing very much for the past couple of years. It was great to see people and their dogs again and catch up. I noticed a trend though that seems to be getting worse. Some people would ask me how my day was going and I would tell them about a milestone we hit in our training or something that we learned from a run. I also told a few about finishing up some titles. Then I would ask the person who asked me the same thing and they would answer in terms of the number of Q’s they were getting that day. I heard nothing about having fun or some training accomplishment they made as a team. Their demeanor was a direct reflection of the number of Q’s that day. People who felt they had a low Q rate were unhappy and frustrated while those with lots of Q’s were happy and having fun. 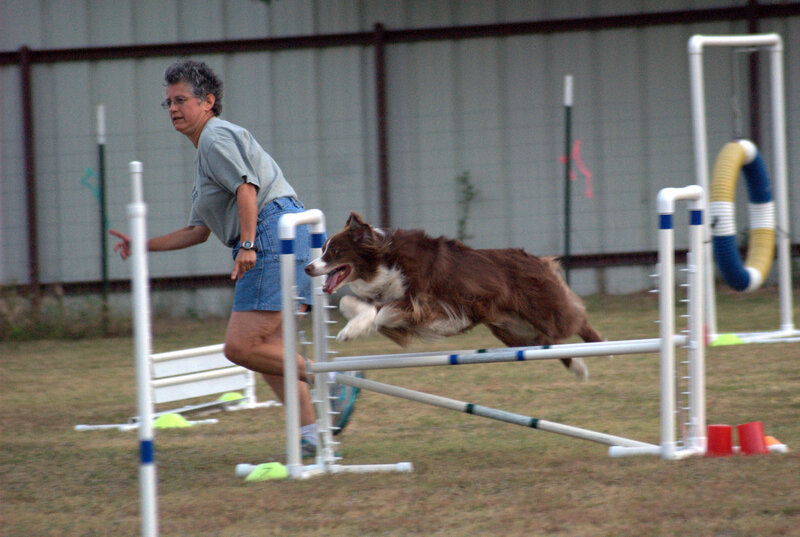 One person – who has a really nice dog that runs well with him – was talking about taking another break from agility since he was frustrated with their Q rate that weekend. Clearly he wasn’t having any fun anymore and I suspect his dog wasn’t either. When your sense of pleasure is derived from comparing yourself to others (or to your Q rate), you are no longer the master of your own happiness. If having fun is determined by how many Q’s you get at a trial, then you’re losing touch with what’s really important. You’re losing out on having fun with your dog. You’re wasting the short time that you have with your dog (and yes – it really isn’t long enough as many people with older dogs can tell you) being frustrated and unhappy instead of enjoying all that you have done together. I admit that I like getting Q’s and titles as much as anyone. I feel proud of my dog and what we have accomplished, but I’m not going to let it rule me. Ask yourself – is a Q really so important that it dictates how much fun you’re having with your dog? Why are Q’s so important to you? I promise you that your dog doesn’t care. Why are you bothering to do agility if it’s no fun?